First – let’s get to this weekend’s specials! **These are in ADDITION to my normal January specials AND to Stampin’ Up!’s Sale-A-Bration Specials – so it’s a CRAZY GREAT weekend to shop! Offers expire Monday January 21st 9am EST. Complete details are at the bottom of this post. FIRST – purchase the any of the STAMP SETS featured below (that we used at January Camp!) and get the consumable supplies to make the cards shown! All but 1 have the tutorial up on my YouTube channel (and by the time you get your order the last will as well!). 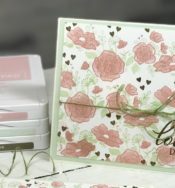 So when you order the set (or bundle) you will get the cardstock, papers, ribbons, embellishments – whatever you need to make the card that goes with the set you purchased. You will need to have the inks, etc. If you purchase the dies – then you can run them through yourself – if you do not, they will come run through for you! 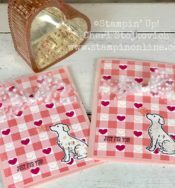 Happy Tails and Buffalo Check Dog Lovers Card and Alternate Valentine Ideas! 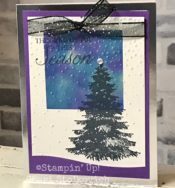 Occasions 2019 Catalog and a Fun Sneak Peek Simple Stamping Card! 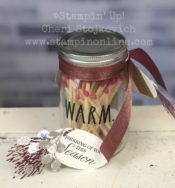 Winter Woods & Rae Dunn Easy Hostess Gift – Online Class Registration #1 Closing!